I recently did a redesign of Novak Snurfboard LLC’s website. Novak Snurfboards are made right hear in Muskegon. They are made of a unbreakable space glass which will withstand the coldest of temperatures while still maintaining their flexible characteristics. I met Bob Novak recently through a mutual friend and was very happy to take on a re-design of his site. The site was up and running, was structured pretty well. 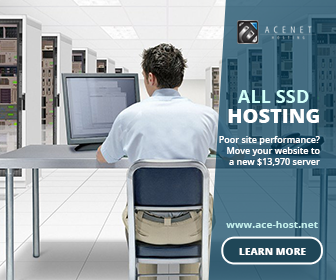 It really just needed more pictures showing of the product and Some graphics added in the header area. We decided on a pretty classic mostly black and white design to match the existing graphics of his 2012 snurfboards. His product definitely has a cool factor. They are fun to ride and have a real retro feel that made the nostalgia bubble. The History of the Snurfboard is represented on his site which is a cool little read. There where a couple of other additions I did including integrating a little php, and added webmaster tools and analytics. I also rolled through and made a Facebook Fanpage for his company. This is just the beginning for a very cool local Muskegon business. 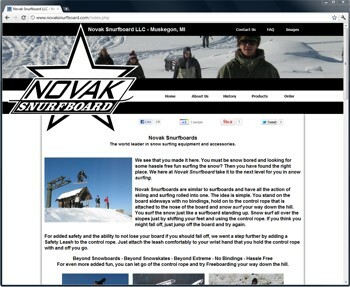 Visit the Novak Snurfboard website today!